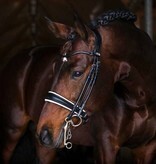 One of the most anatomical and exclusive double bridles on the market!A really exclusive round stitched double bridle. NOSEBAND The pullback noseband is extra wide and measures 5 cm. The padding is white and in between leather and padding you will find a wonderful detail: lacquered piping. 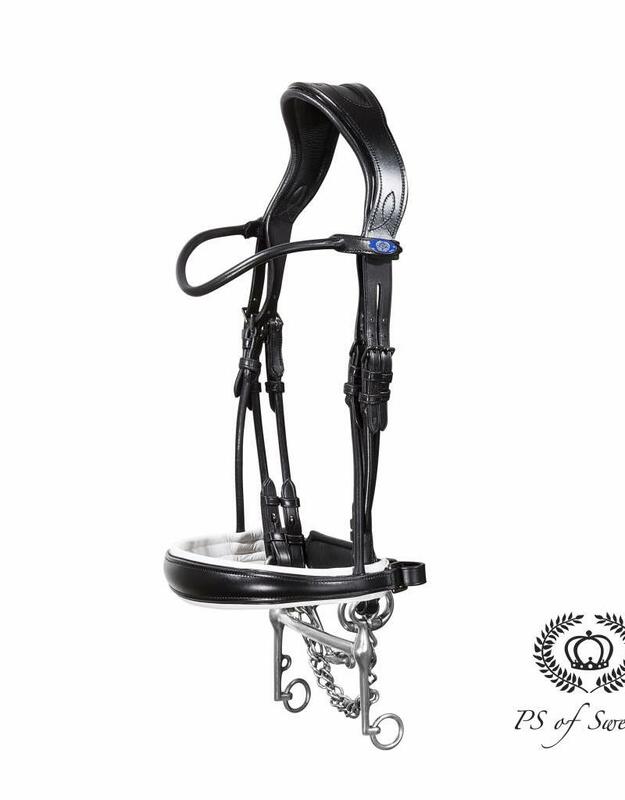 The padding is thinner where the noseband's side pieces attach, in order to avoid pressure on the cheeks. NECK PIECE The patent pending neck piece is softly padded and leaves plenty of space for the ears. You'll find the lacquered piping along the sides of the neck piece too. 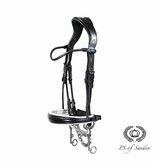 CHEEK PIECES The cheek pieces are round stitched with french hooks and our patent pending Cradles™, which allow the bit to suspend in the horse’s mouth. This helps to further relieve the pressure on the poll. Our Cradles™ are selectable and constructed to be easily "hooked on and off." 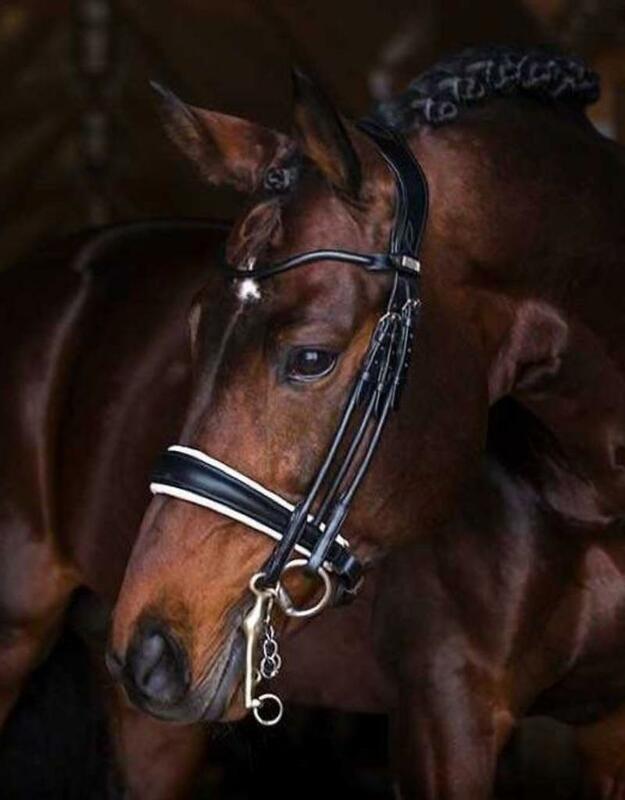 The bridle's elongated cheek pieces coupled with shorter head piece straps further accentuate the bridle's unique and elegant design. BROWBAND The browband is round stitched and has our unique patent pending "Click-it"™ design, which means you can swap it in a few seconds, even when the horse is already wearing the bridle. The "Click It"™ button is blue, with the PS-logo on it.